If you have been watching recent news, you will know about General Motors and their recent closure of a handful of manufacturing plants, including one in Canada. While none of this really affects me, one piece of news that did make me a bit sad was the fact GM would be shuttering the production of the Chevrolet Cruze in North America. If you have read my past review referencing my car, I have had a pretty good experience owning it. As much as I would have liked a sportier car, mine has been mostly trouble-free, only needing the standard maintenance any one would do for their vehicle. Unfortunately, the growing trend with the North American market is about replacing compact sedans with crossover utility vehicles, dubbed the CUV. They may make it look like a utility vehicle, but I honestly have not been impressed with the underpowered engines. To be clear, I think CUVs have their place and I do like driving vehicles with a bit more height. However, I often find these crossover utility vehicles are not powerful enough to do any real utility work or agile enough in the bends, unlike the compact cars they replace. Overall, I think it blends two different use cases into one without being a really strong answer to either. 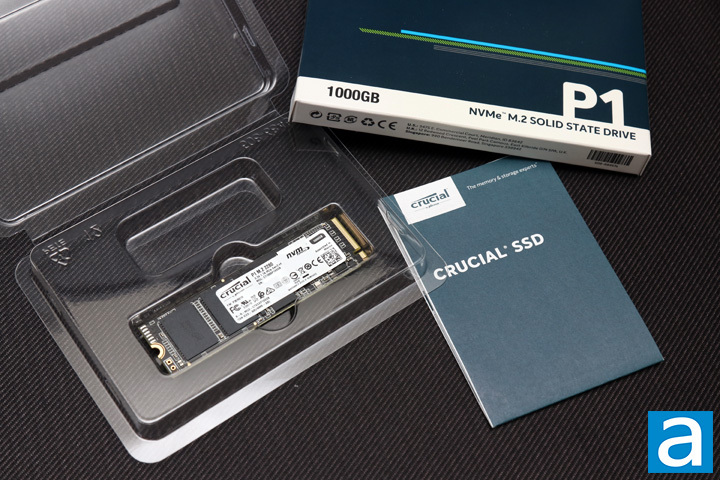 Today, we have the Crucial P1 1TB, the first NVMe drive from Crucial targeted at consumers with its 3D QLC NAND and thus larger capacity. Considering it runs on the faster NVMe protocol, is this a performance focused drive, a large and wallet friendly one, or a jack of all trades but master of none? Let us read on to find out! 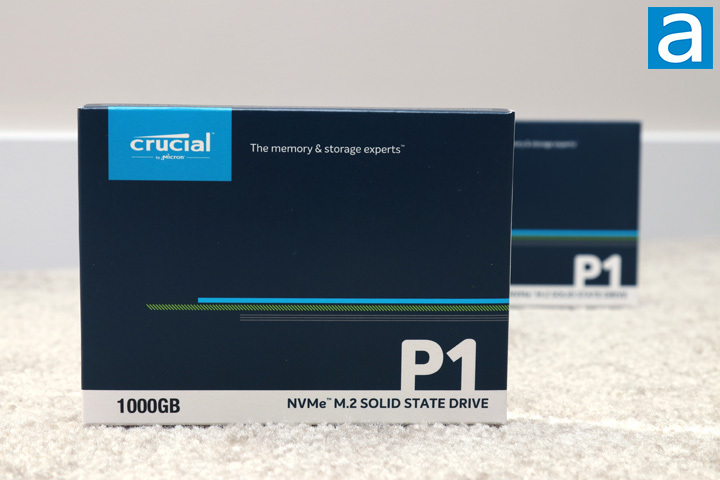 Today's review unit of the Crucial P1 1TB arrived from Micron's offices in Meridian, Idaho. As for this city, Meridian is located just west of Idaho's capital, Boise. Despite having a population of just over 75,000 people, this is the third largest city in the state. 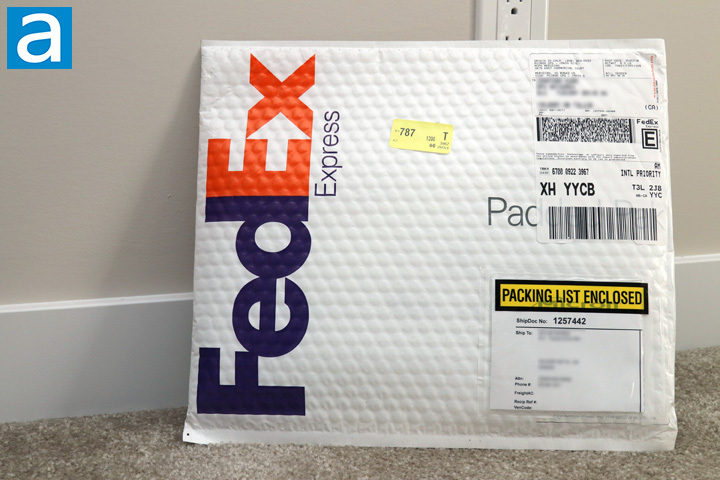 Otherwise, Crucial shipped this FedEx envelope with their International Priority service. In addition to the 1TB version, we also received the 500GB one, which we will be reviewing shortly. Otherwise, the envelope arrived in excellent condition with no holes or scratches to be concerned about. When Crucial announced the P1, this whole lineup was meant to bring the QLC technology to consumers. Thus, it is unsurprising that we have retail packaging here. Even so, the P1 arrives in a pretty ordinary packaging. Solid state drives have never really come in fancy gamer-oriented packaging yet, which I guess is a good thing. On the front, we have a navy blue shell, with some white accents. The top shows Crucial's logo, which is a Micron Technology brand. Next to the lighter blue logo, we have a tagline of "The memory & storage experts". Otherwise, the product name is found at the bottom with a description of "NVMe M.2 Solid State Drive" and a size of 1000GB. There is a bit of inconsistency, as the product itself is called the 1TB version, but the model number and the box show 1000GB. Of course, they are not exactly the same, but for the review we will be referring to it as the 1TB. The contents of this box is kept to a minimum, though this does not come as a surprise. The Crucial P1 1TB is sandwiched in a clear plastic shell to protect the drive. We also have a relatively thick user guide and information foldout, which goes over the installation instructions as well as some warranty information. For your information, the P1 series all comes with five year warranty, which is a pretty good length for Crucial drives. posted 5 hours and 25 minutes ago, with 1 posts. posted 5 hours and 26 minutes ago, with 2 posts. posted 5 hours and 26 minutes ago, with 8 posts. posted 5 hours and 27 minutes ago, with 7 posts. posted 5 hours and 31 minutes ago, with 15 posts. posted 5 hours and 31 minutes ago, with 59 posts. posted 5 hours and 31 minutes ago, with 14 posts. posted 5 hours and 31 minutes ago, with 11 posts.